This is a new category for me … boards that are smaller than your typical counter top cutting board, but made beefier than your typical cheese board. You’re left with a board with enough heft to cut most things in today’s kitchen … but perhaps not enough size for processing large meals for many people. A light supper for a party of 2? Perfect. These boards are typically sized from 8″ x 12″ x 1″ to 12″ x 12″ x 1-1/2″. The sky’s the limit, though … the only question is, what size board do you need to work in your kitchen? 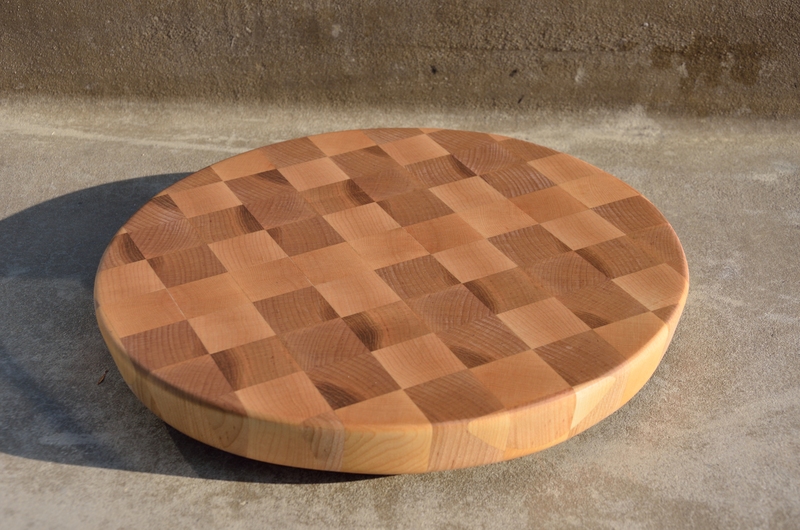 If you don’t want a full size cutting board, then you may find the right board here. And, as always, if you don’t see it here, ask! Prices vary with the size of the board, the woods selected, and the complexity of the construction. As shown, these boards cost $40 – $75.